I am blown away by the latest interview of Michelle Kingdom on Sarah K. Benning's site - her work is so consistently innovative and breathtakingly beautiful and daring. I also had the honor of interviewing Michelle for our blog - here is that post. 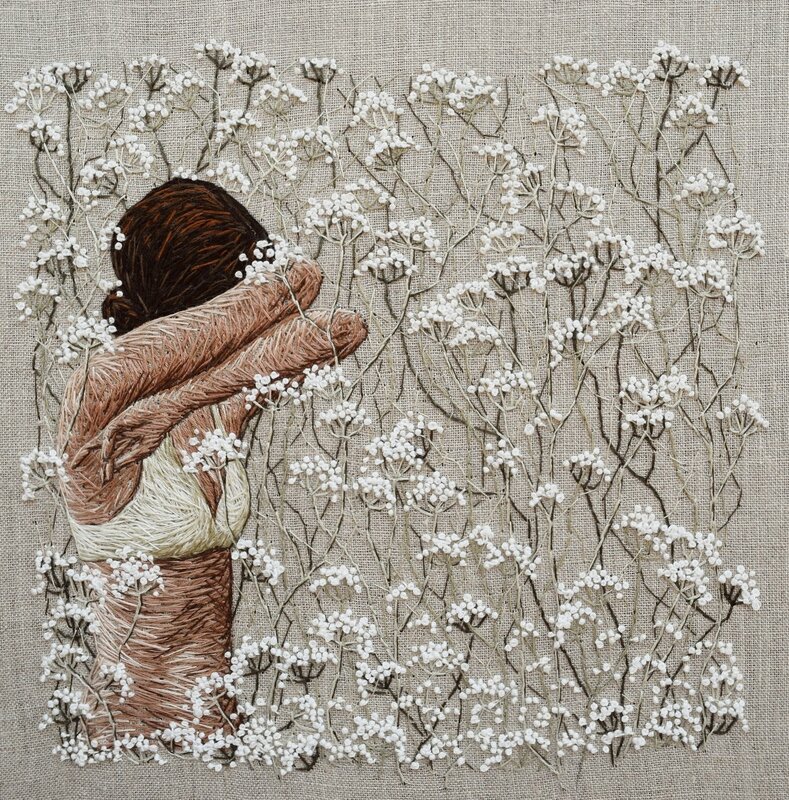 "This series arose out of my own frustrations related to seeing my work constantly copied stitch-for-stitch, sold without permission, and credited to other people. Rather than wallowing in unproductive negative emotions, I wanted to find a way to bring this common issue to light in a positive way. My solution was to share the work of artists, crafters, designers, and makers who I greatly admire for their originality and dedication." I love the idea of using a negative experience as inspiration to share something positive and inspiring with the world. Definitely an idea I come back to, again and again, and my main source of inspiration as I write my posts for Feeling Stitchy. I highly recommend a visit to Sarah K. Benning's site, and the Michelle Kingdom interview!